Last Chance - Limited Quantity - Only 5 left! 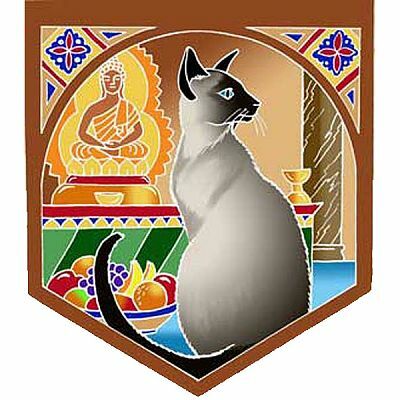 - Ancient Siamese texts describe how these cats are venerated as guardians of the temples. Pennant measures 16" wide by 20" tall. Rayon batik. Banners have a tube sewn at top for a rod or string to hang them. Do you have any other questions about our Siamese Cat Pennant?